You may know that taking out a mortgage can ding your credit score—which makes sense, since a mortgage can greatly increase your debt. But did you know that the size of that credit-score hit varies greatly depending on the location of your home? Or that the location also helps determine how long it will take for your credit score to return to what it was beforehand? Those are two findings from a study on the topic by LendingTree, a consumer lender. Virginia Beach, Virginia, is the city where home mortgage borrowers are most severely hit by credit score downgrades, according to LendingTree. Borrowers there had their scores clipped by 20 points, on average. The average initial credit score was 683 in Virginia Beach, according to the study. In contrast, two ice-belt metropolises tied for the lowest cuts in credit scores. Both Minneapolis and Milwaukee borrowers on average experienced hits to their credit scores of just 11. And mortgage borrowers in Minneapolis and Milwaukee had similar starting credit scores—701 and 700, respectively. LendingTree says that overall, credit scores fell an average of 15 points for mortgage borrowers in the 50 cities surveyed around the country. A lowered credit score can be damaging financially, of course. The scores are used by lenders including banks, credit card companies and auto dealers to decide whether they will extend credit to prospective purchasers and, if so, on what terms. Insurance companies use credit scores too, and they may charge more for a policy when a credit score is lower. A lowered credit score just at the time when a large new financial obligation has been taken on—a mortgage payment—is a double whammy. Most financial institutions use a FICO score, which generally runs between 300 and 850. Generally, excellent credit is 750 and above, good credit 700 to 749, fair credit 650 to 699, poor credit 600 to 649 and the worst credit below 600. 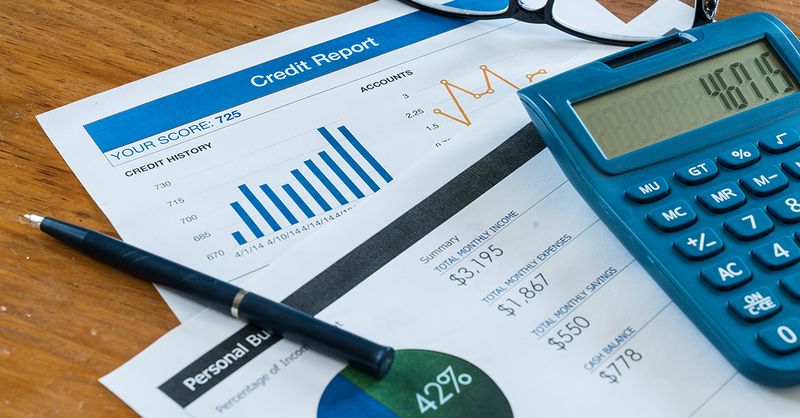 A key point to bear in mind is that even though the reduction in a credit score may seem relatively minor, it could shift a prospective borrower into a lower credit-score category, resulting in higher interest rates or more onerous terms on future loans—or even the denial of credit altogether. The other variable LendingTree examined was how long it took for credit scores to recover after borrowers took out mortgages. There is generally a lag of 60 days or so before credit bureaus are able process new mortgage information and lower the borrower’s score. Then, as the borrower begins making payments, the score recovers (other things being equal, of course). On average, credit scores took 160 days, or just over five months, to reach their low points and another 161 days to return to their prior levels, a combined 321 days. Not that far from a year. Again, geography was a big factor in determining that recovery. The credit scores of borrowers in Richmond, Virginia, took the shortest time—266 days—to recover to their previous levels, followed by Minneapolis at 267 days and Salt Lake City at 272 days. Milwaukee borrowers suffered the longest recovery time at 384 days, followed by Austin, Texas, at 377 days and Riverside, California, at 375. To see how credit scores were affected in additional cities, you can read LendingTree’s full report.